How many cows do you milk? We milk 150 Holstein cows each day on our family farm in Ely, Iowa. Holstein cows are easily distinguished by their black and white spots and are known for being #1 best cow breed for milking. How often do you milk cows? Twice each day, at 9 a.m. and 9 p.m. It takes Debbie about two and a half hours to milk our herd once. Our cows are fed what is referred to as a mixed ration. It is a mix of hay silage, corn silage, high-moisture corn, orchard grass, sorghum sedan grass, alfalfa, whey (left over from our cheese curds), and vitamins and minerals. How much does a dairy cow eat and drink? A milking cow will consume approximately 90 pounds of feed each day and will drink about 40 gallons of water. Are your cows injected with growth hormones? No way. Dan and Debbie's Creamery cows are NOT treated with rBST or rBGH. Instead, we treat them with great care and delicious feed all grown on our family farm. Each of our cows is given a name, not a number, that stays with her for life. How long have you been milking cows? We have been milking cows for 20 years. Our first generation dairy farm started with 30 cows and we've grown into a herd of 150 Holstein cows. What does it mean that your milk is non-homogenized? 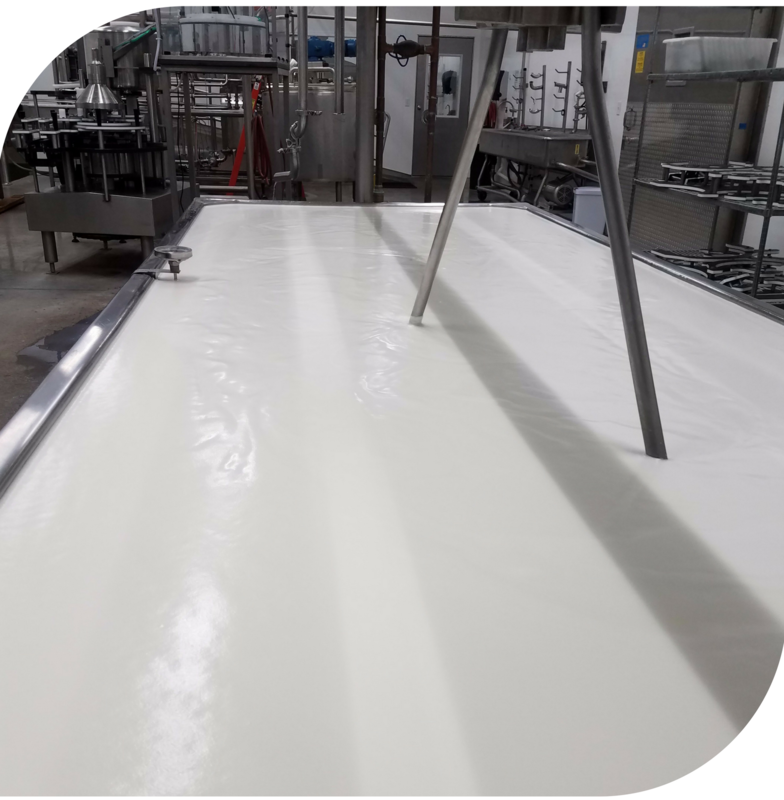 Homogenization is a process that breaks apart fat molecules under high pressure, leaving the fat suspended and evenly dispersed throughout the milk. Our milk is non-homogenized which means that the cream naturally rises to the top. Unless you want to consume the cream top separate from the rest of the milk you need to give it a good shake before you drink it. We choose not to homogenize in an effort to keep our milk as close to its natural state as possible. Why is your milk non-GMO? GMO stands for Genetically Modified Organism. Our skim, 2% and whole milk is non-GMO. This means our cows are not fed crops that have been genetically modified. We feed our cows only the best and most nutritious crops because we know this is what leads to the best and most nutritious milk for you and your family. What is a cheese curd? Cheese curds are an essential product of the cheese making process. Before cheeses like cheddar are formed into blocks or wheels, they begin as curds. Fresh curds are known for having a slightly rubbery texture that squeaks when you eat them. Cheese curds squeak because the elastic protein strands in a cheese curd will rub against the enamel of your teeth creating that "squeaky" cheese. This characteristic is typically a sign of freshness, but serving cheese curds at room temperature or popping them in the microwave for a few seconds will generally restore their squeak. Can I visit the production plant where Dan and Debbie’s dairy products are made? You bet you can. We have a viewing room that is open whenever our creamery store is open. Come on out and watch us work! What makes Dan and Debbie’s products different from the rest? The biggest difference between our products and many other dairy companies is that we do everything from farm to table. We began as a dairy farming family, and we still milk those cows as a family, but now get to take that quality milk to make quality products. It all starts with the non-GMO crops that we plant and harvest each year on our land. It transitions to the care that we put into our animals keeping them healthy and comfortable at all times. And it ends with the small batches that allow us greater quality control over each product we make. dairy products to our community. 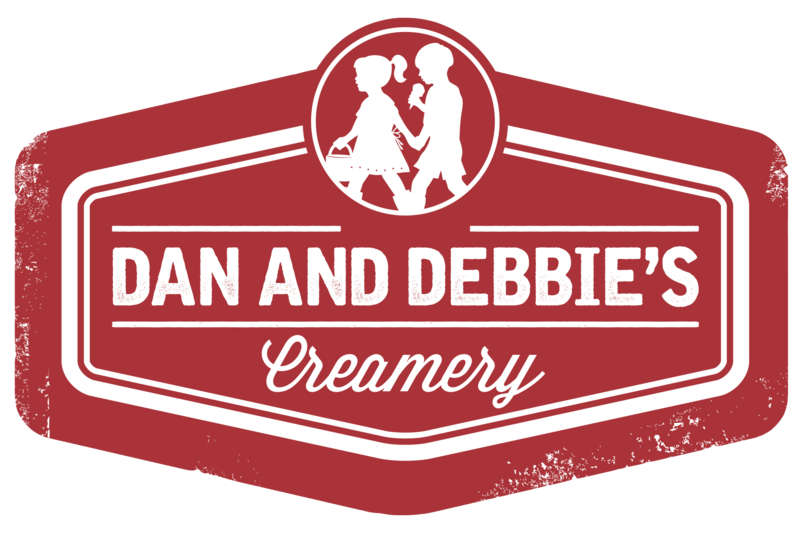 © Dan and Debbie's Creamery 2017. All rights reserved.